Currently, approximately 5.1 million in the United States have Alzheimer’s disease, according to the National Institute on Aging. It’s a disease that progressively robs people of their memories, behavioral abilities and cognitive functions. In older people, Alzheimer’s disease is the most common cause of dementia , but unfortunately, there is no cure. Of course, the medical community is working towards a cure and, as they do, they continue to debunk longstanding myths surrounding this deadly disease. 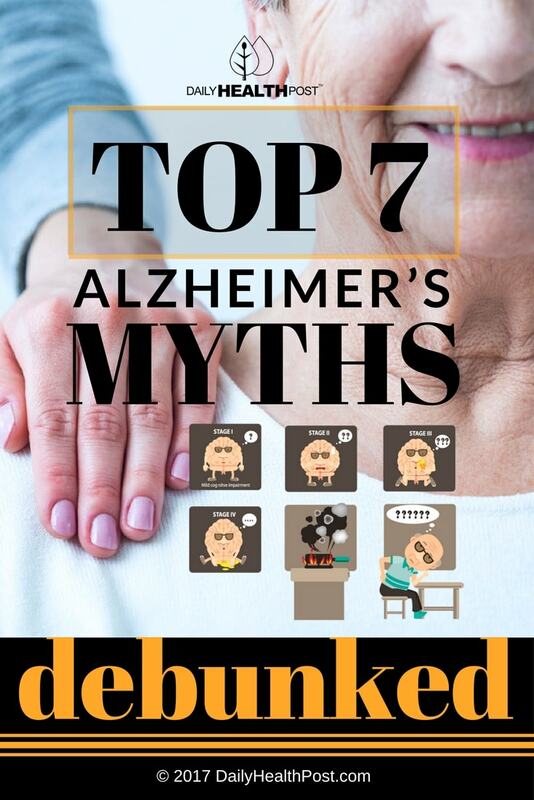 Here is the truth behind the top 7 myths connected to Alzheimer’s disease. Unfortunately, this myth is not true. According to the Alzheimer’s Association, no one survives Alzheimer’s disease. Aside from significant memory loss, the destruction of brain cells brought on by the disease also causes loss of bodily functions, including a person’s ability to talk, walk, connect with other people, think, and eat . 2. Your Relatives Have it, So Will You. Genes do play a role in our chances of developing the disease, but only a small number of cases – about five to seven per cent – are an inherited form of the disease known as Familial Alzheimer’s disease (often referred to as “early onset”). If you have a parent or sibling who has Alzheimer’s disease, you have a three times greater risk than someone who doesn’t. New research suggests that certain genes (such as the apolipoprotein E gene  ) can influence the development of the disease but experts note genes themselves don’t cause the disease, and people who don’t have the genes can still develop Alzheimer’s disease while people who do can remain disease-free. 3. Alzheimer’s Disease is Exclusive to Older People. One out of every eight persons who is over the age of 65 has Alzheimer’s disease, but the disease is not exclusive to older people. Though it’s limited to only about 5% of diagnosed cases, people in their 30’s and 40’s can develop early-onset Alzheimer’s . 4. Alzheimer’s Disease is the Same as Dementia. Alzheimer’s disease accounts for between 60% and 80% of all cases of dementia , but it is not the same thing. 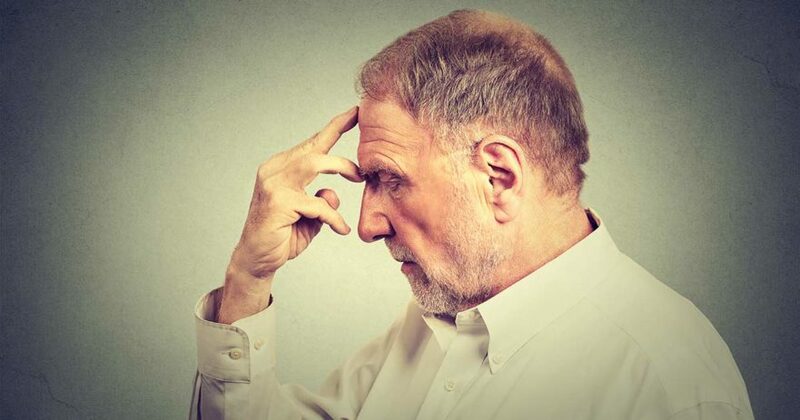 Dementia is a term that covers an array of diseases and syndromes, including Huntington’s disease, Creutzfeldt-Jakob disease, Parkinson’s disease, and Wernicke-Korsakoff syndrome. 5. Memory Loss is Normal. As people age, it’s normal to occasionally forget something, such as the name of a new neighbor or the title of a movie you recently watched. However, the National Institute on Aging  cautions that intermittent forgetfulness is not the same as the serious memory loss associated with Alzheimer’s disease. If memory loss has become an issue, consider the other warning signs associated with Alzheimer’s disease, and address your concerns with your doctor. 6. Alzheimer’s Disease is Caused by Depression. Depression directly impacts about 6.5 million people in the United States who are aged 65 and over. It is a symptom of Alzheimer’s disease, and, in fact, it is very common during the beginning and middle stages of the disease, according to the Alzheimer’s Association. A recent study  suggests that late-life depression may be a contributing factor in the development of Alzheimer’s, but depression has not been proven to be a direct cause of the disease. 7. Alzheimer’s Disease Isn’t Preventable. Eating a healthy diet including fresh fruits and vegetables, fish and nuts. Challenging your brain with puzzles, hobbies and learning. Keeping your blood pressure, blood sugar and cholesterol levels in check. Avoiding vices like smoking, drugs and alcohol. These strategies are also beneficial for cardiovascular health, which may play a role in the development of Alzheimer’s disease.